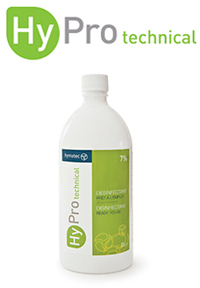 HyPro technical is a 7% H2O2 solution that efficiently disinfects surfaces of non-invasive medical equipment and devices. 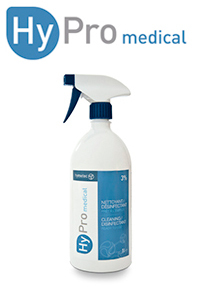 HyPro medical, H2O2 3% solution, to efficiently clean and disinfect surfaces of non-invasive medical equipment and devices. 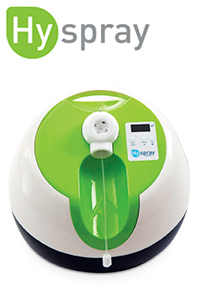 Hyspray is a pulverizing appliance by air which disinfects rapidly rooms and surfaces.This is a hydrogen peroxide product.